With this kit you can make delicious rainbow cake pops - balls of yummy home-made chocolate cake on a stick, coated in the finest milk chocolate and decorated with sprinkles. 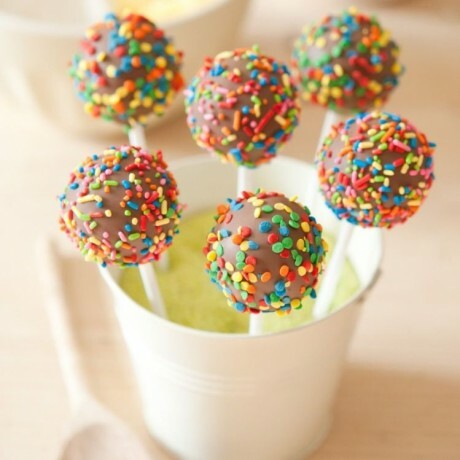 You can bet these tasty treats won’t last for long! Everything you need (except just butter and egg) to make 12 chocolate cake pops. 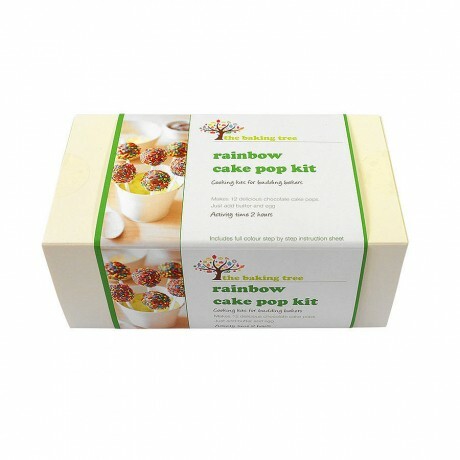 Lovingly designed to make the baking experience fun and exciting for bakers of all ages. Stylishly packaged in a reusable and recyclable cream box. Please note the sprinkles may vary from those shown in the image. Warning: Not suitable for 3 yrs and under due to small parts. 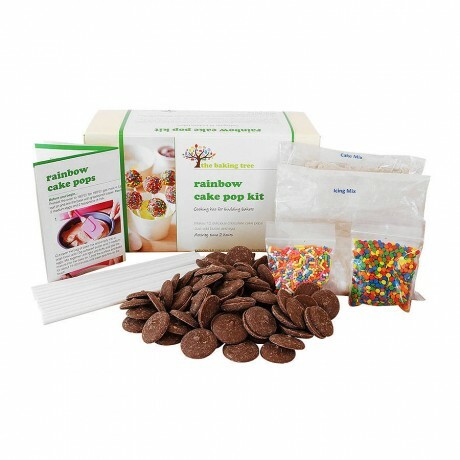 Self raising flour (wheat), Caster sugar, Icing sugar, Cocoa powder, Baking powder, Milk chocolate coating, Sprinkles (which may contain food colouring). Contains wheat and milk. May contain traces of nuts. This product is dispatched by The Baking Tree. This item has a shipping weight of 680g.